In this section, we describe how to speed up your website with Baqend Speed Kit with 5 easy steps. For a more high-level introduction, see our overview section. 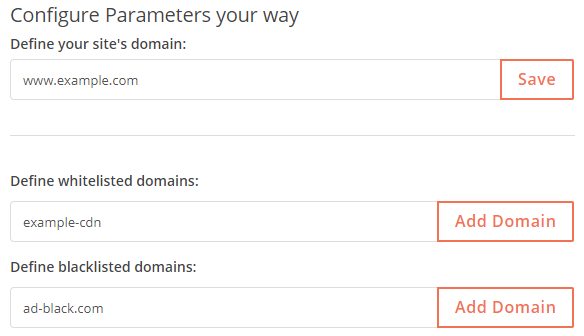 In your account simply enter your site's URL as well as all whitelisted and blacklisted domains, respectively. All requests to whitelisted domains are rerouted to Baqend while requests to blacklisted domains will not be speeded up. A common example of blacklisted domains are those of tracking or ad services. Insert the generated code snipped into the header of your index.html. This snipped registers the service worker that will speed up your requests. Download the latest Service Worker script from baqend. # Find this line in your code snipped: "navigator.serviceWorker.register('sw.js')"
Speed Kit will automatically make your website faster.